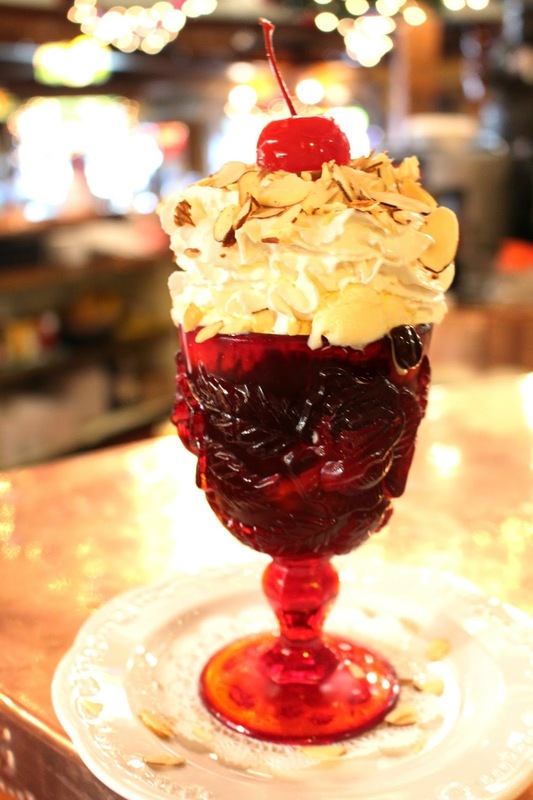 Perhaps no other Madonna Inn signature item is as highly prized as our goblets. 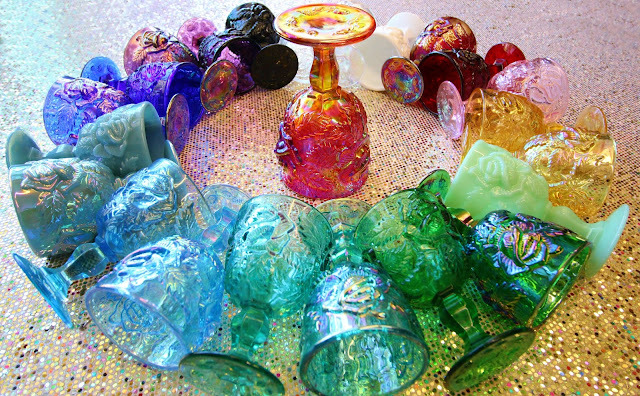 Throughout the years, these multi-colored glass chalices have become a favorite among guests, locals, and interior designers alike for their classic beauty and cheerful charm. You may be surprised to know, however, that they were not always a staple at Madonna Inn. In the Inn's early years, the tables were set with a more generic style of glass tumbler - much like the ones from this vintage Viking catalog. It wasn't until the mid-1970s that Mr. and Mrs. Madonna found a "Flat Rose" design from the LG Wright Glass Company which better complimented the Inn's whimsical interior design. A little over a decade later, Mr. Madonna decided to get a custom-made goblet made that would better match the signature rose carpeting in the restaurants. (Fun Fact: the carpets were designed by a former artist from Disney!) 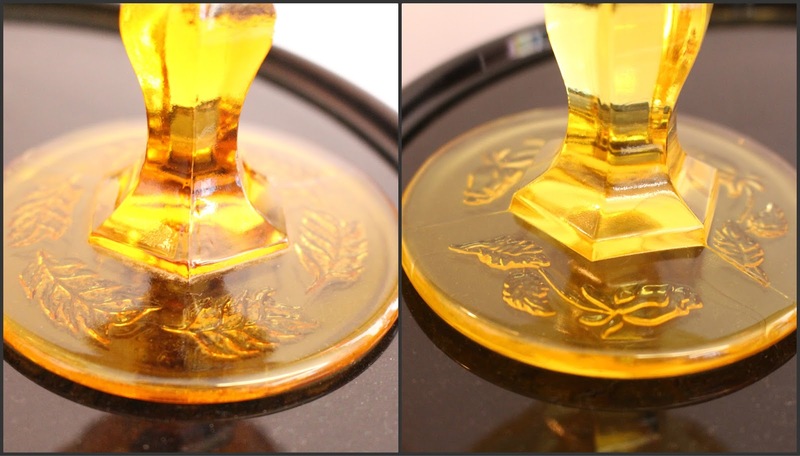 Since then, the design used for our molds has been trademarked, and is officially called the "Madonna Rose." These goblets are thicker and more smooth than their earlier counterparts. Today, our goblets are made by Mosser Glass: a family owned-and-operated company out of Cambridge, Ohio. 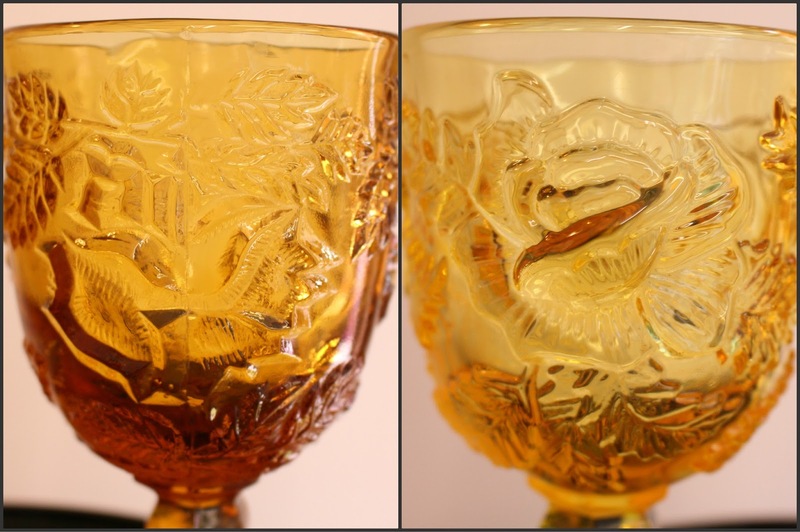 We enjoy knowing that their family takes just as much pride in the making of these goblets as we do. Visit our website or any of our on-site shops to browse different "Madonna Rose" colors and sizes. Cheers!